Ladder Racks from TracRac Ladder Racks, System One Ladder Racks, Thule Ladder Racks, BackRack Ladder Racks and Hauler Ladder Racks are in stock and on sale at The Rack Warehouse. 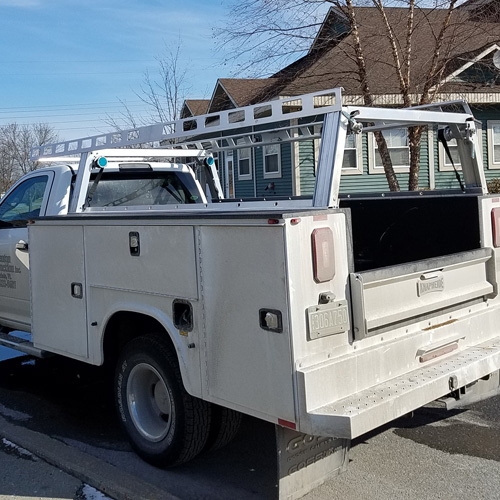 Ladder racks are most commonly used on pickup trucks, vans and service body trucks to transport building materials and ladders to and from the job site. Our vast selection of ladder racks, vary in price, load capacity and style. Steel and aluminum ladder racks are strong and durable. Be sure to visit our Awesome Deals! page for low prices on closeouts, returns and reboxed items. Pick up truck utility and ladder racks from TracRac Pickup Truck Utility and Ladder Racks, System One Pickup Truck Utility and Ladder Racks, BackRack Pickup Truck Window Guards and Headache Racks, Vantech Pickup Truck Utility and Ladder Racks, Hauler Pickup Truck Utility and Ladder Racks, Thule Pickup Truck Sports and Ladder Racks, and Yakima Pickup Truck Sports and Ladder Racks are in stock at RackWarehouse.com. Anodized aluminum and powder coated steel pickup truck racks for hauling lumber, ladders, pipe, conduit, scaffolding and other construction materials are discounted at The Rack Warehouse. Accessories like tie down straps, ladder stops, load stops, ratchet tie downs, locking cables, cantilever extensions, tie down anchors, window guards, and many more, are available to help load, tie down, stabilize and secure your cargo. The Rack Warehouse stocks heavy-duty pickup truck cap racks, camper shell racks and topper racks for ladders and utility use. Leading cap rack manufacturers like Vantech, TracRac and Hauler are in stock and ready for immediate shipping. We stock cap, topper and camper shell racks that bolt to the top or through the side of fiberglass caps. We also stock cap racks that fasten under the shell and go around the outside of the cap. Cap rack models are available in steel and aluminum. Cap racks vary in load carrying capacities so please review each cap rack carefully to choose the brand and model that best suits your budget and needs. The Rack Warehouse stocks heavy-duty pickup truck cab guards, headache racks and window guards to help protect your cab and rear window from shifting cargo and flying debris. BackRack and Aries are leading manufacturers of cab guards with options to fit nearly any pickup. High visibility cab guards and mesh screen safety racks are in stock and ready for immediate shipping. 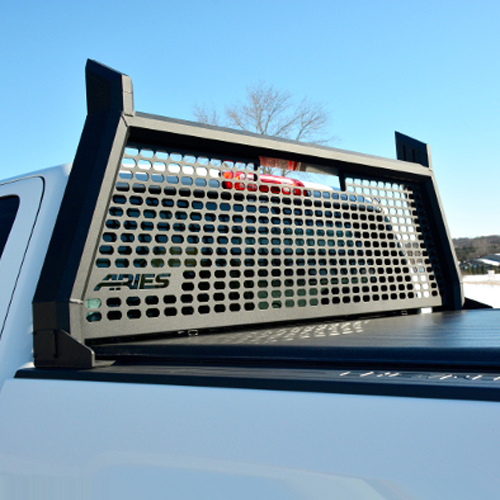 We stock steel and aluminum cab guard rack models, and most models require don't require drilling to install. The Rack Warehouse stocks many headache rack options, including those that are compatible with crossover tool boxes or tonneau covers. We're sure you'll find a cab guard that suits your budget and needs. The Rack Warehouse stocks a wide variety of van ladder racks and van utility racks for carrying materials to and from the job site. All major brand names like System One, TracRac, Vantech and Hauler are available for immediate shipping. 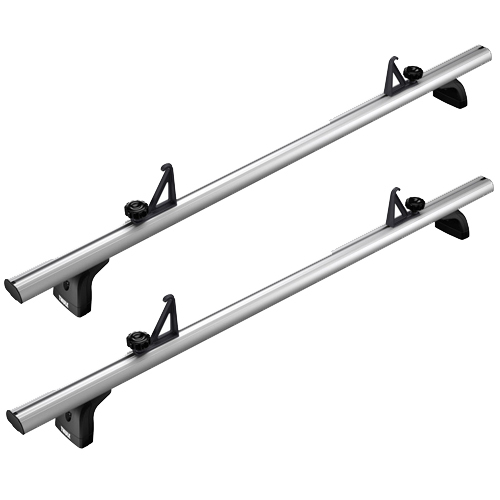 We stock both steel and aluminum van ladder racks. Some of our van racks have a bright aluminum finish, while others are powder coated white or black. Carrying capacities range from 500 lbs to 1000 lbs depending on the rack. Popular accessories like conduit carriers, ratchet tie downs, tie down anchors, locking knobs, kayak carriers, and many others, are in stock. If you any questions or need assistance choosing the right rack for your needs and budget, please call us at 800 272-5362. Service Body Ladder Racks and Utility Body Ladder Racks for hauling ladders and materials to and from the job site are on sale now at RackWarehouse.com. 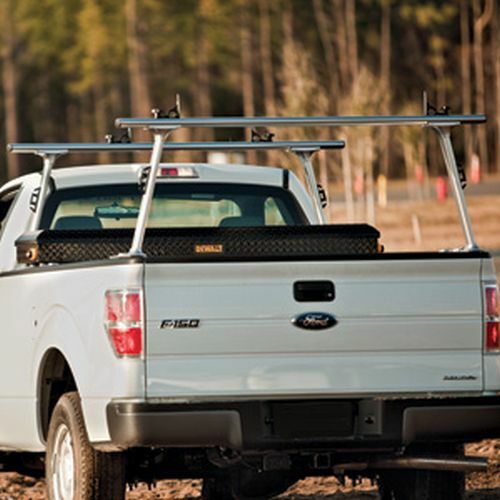 Service Body Ladder Racks for Ford, Chevy, Dodge and Toyota Utility Body Trucks are in stock and ready for immediate shipping. We stock Service Body and Utility Body Truck Racks from top manufacturers like SystemOne and TracRac. If you have questions or need assistance choosing the right Service Body Truck Rack for your budget and needs, please call us at 800 272-5362 for assistance. 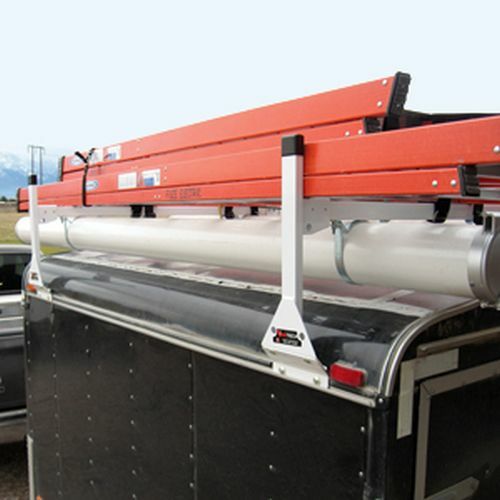 Utility Ladder Racks for enclosed trailers and utility box truck roofs are available in aluminum or steel, black or white from RackWarehouse.com. All Box Truck and Enclosed Trailer Utility Ladder Racks are sold as single units so you can order the number of crossbars that will best suit your specific needs and budget. Box Truck and Enclosed Trailer Utility Ladder Racks are ideal for carrying long loads of lumber, ladders, conduit, pipe and other construction materials - that won't easily fit inside. Box Truck and Enclosed Trailer Utility Ladder Racks are available in Top Mount or Side Mount configurations and in a variety of crossbar lengths. The Rack Warehouse stocks and discounts Kurt Rear Mounted Trailer Hitches, Receiver Hitches and Towing Products. 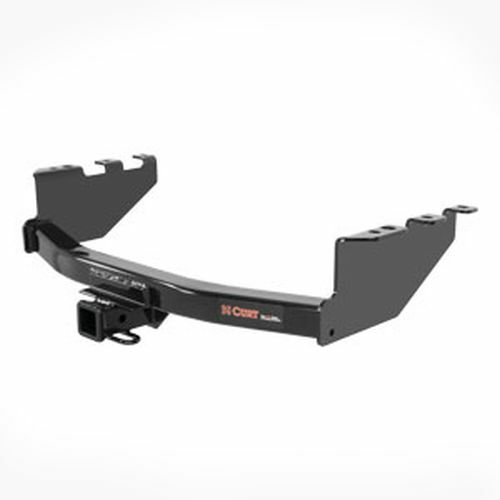 Curt Trailer Hitch Receivers are most commonly used by RackWarehouse.com customers to attach Trailer Hitch Receiver Mounted Bike Racks and Rear Mounted Ski Racks and Snowboard Carriers. Most Curt Trailer Hitches bolt into a factory designated hole pattern under the rear of your vehicle. Please visit our CURT Trailer Hitch Fit Guide to find the best Trailer Hitch for your vehicle.